Each year an Australian picture book is chosen to be read simultaneously in schools, homes, childcare centres, libraries, bookshops and anywhere else you can read a book! So we at The Education Clinic want you to know about it and join in! 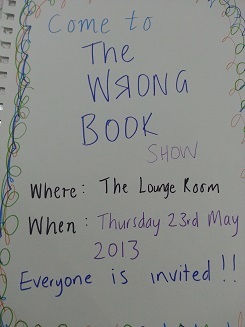 This year it is to be held on Wednesday 22nd May at 11am and the book is ‘The Wrong Book’ by Nick Bland. Read ‘The Wrong Book’ by Nick Bland to your child. Read and enjoy this book as many times as you like this week! Don’t forget to read it on Wednesday at 11am. Retell the story through puppets. 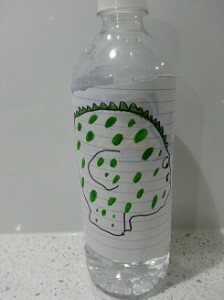 Draw an elephant, monster, pirate, queen, rat and a Nicholas Ickle and attach each one to a pop stick, ruler, pencil or water bottle. Use the puppets to retell the story. 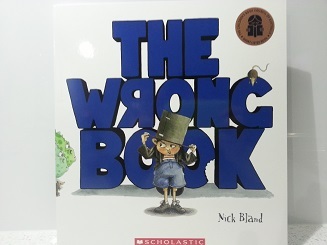 11am – Read ‘The Wrong Book’ by Nick Bland. On Thursday your child can perform the book for your family. Today, go over the order of events and allow your child to design a poster to advertise their performance. Discuss with your child whether they will use the book to help them, use dolls or dress up and perform the show! Your child can perform ‘The Wrong Book’ for you and/or your family. No matter how it goes, enjoy and be supportive! Text Innovation: Encourage your child to change the story to include themselves. Include phrases like ‘My name is (your child’s name) and this book is about….’. Have fun with thinking about what characters could make your book ‘The Wrong Book’. Do this activity orally or create your own book using spare paper. Have a lovely weekend and happy learning!! 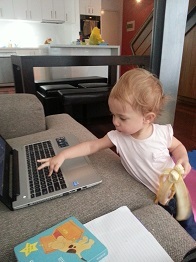 Working hard at The Education Clinic!